Have I ever said that the past two weeks have been amazing? It was!!! Thank you again Olive’s Shapes for this honor. I am truly grateful to be recognised by a person of talent. I would have nominated you back but then I see you are already nominated. 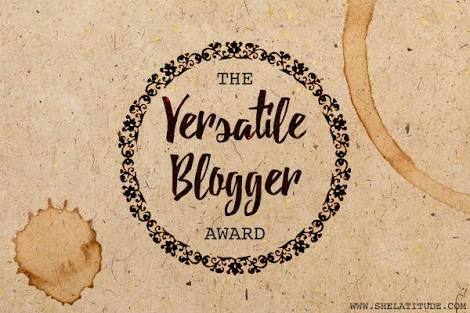 • Nominate up to 15 bloggers for this award and inform them. • Share seven facts about yourself. • Put the logo of Versatile Blogger in your post and display the rules also. The name aestheticallae was derived from the expression ‘aesthetically pleasing’ which is a phrase I often say. The ae in the end are my initials. Aesthetical+ae = aestheticallae. I hate crowds. The sight of so many people exhaust me. I do daily concerts in the shower. I believe that everyone has talent and potential, you just gotta give them the chance. Hence, I nominate you. Yes. You who are reading this right now. If you haven’t tried writing then let this be your first step in entering the amazing writing world.